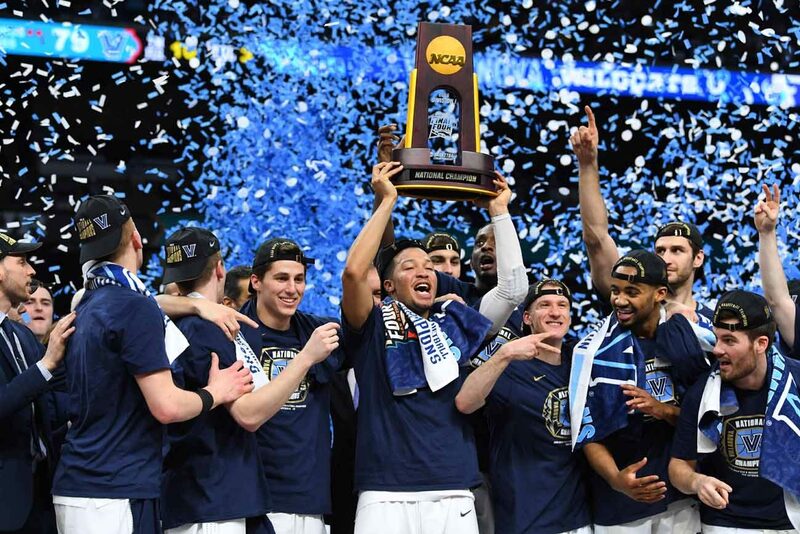 Philadelphia sports fans have a new reason to cheer after Villanova University handily beat the University of Michigan, 79-62, April 2 in San Antonio, Texas for the NCAA men’s basketball national championship. It was the Wildcats’ third national title and second in three years following the dramatic, last-second victory over North Carolina in 2016. And it comes less than eight weeks after the Philadelphia Eagles captured their first Super Bowl championship. Fans will have the opportunity to show their appreciation for Villanova’s championship at a parade Thursday, April 5 in center city Philadelphia. The parade will step off at 11 a.m. at 20th and Market Streets then proceed to Dilworth Park at City Hall by 11:45 and end by approximately 12:30 p.m. The Augustinian-run university on the Main Line boasts several standouts with local Catholic-school connections. Donte DiVincenzo, a sophomore reserve guard who scored 31 points on 10 for 15 shooting from the field, including 5 for 7 from three-point range, attended Salesianum School in Wilmington, Del., run by the Oblates of St. Francis de Sales. He was named most outstanding player of the Final Four in this year’s NCAA tournament. Freshman guard Collin Gillespie, who graduated last year from Catholic League champion and PIAA state champion Archbishop Wood High School, also came off the bench for 16 minutes during the championship game, scoring four points from the foul line. Neumann-Goretti High School product Dhamir Cosby-Roundtree, also a freshman, contributed limited time in which he grabbed a rebound. Other key players hailed from Catholic, private or public schools from Delaware, Maryland, New Jersey and New York, plus star Jalen Brunson from Illinois. 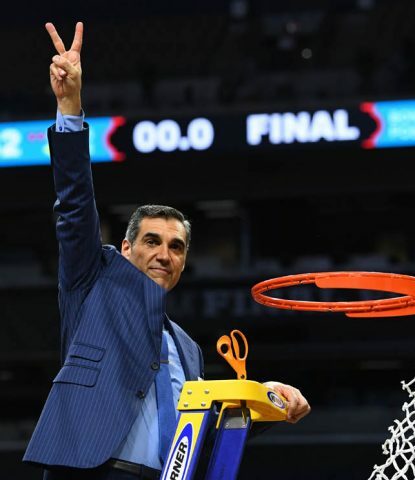 Head coach Jay Wright, an area native himself who attended Council Rock High School, now lists two national championships on his sensational resume. The championship caps Villanova’s 36-4 record this year. It was the highest overall win total in NCAA Division I, and the second-highest winning percentage (.900) behind Virginia (.919). Over the past five seasons, the Wildcats have gone 165-21 for an .887 winning percentage, and won three of the past four Big East Conference tournaments.